I love the holidays and I love decorating for the holidays. My husband however hates Thanksgiving, its kind of funny but he just associates the holiday with awkwardness. I on the other hand love a special occasion. Thanksgiving is an especially beautiful holiday in my mind because we are reflecting on all that we are thankful for and those we love in our lives. 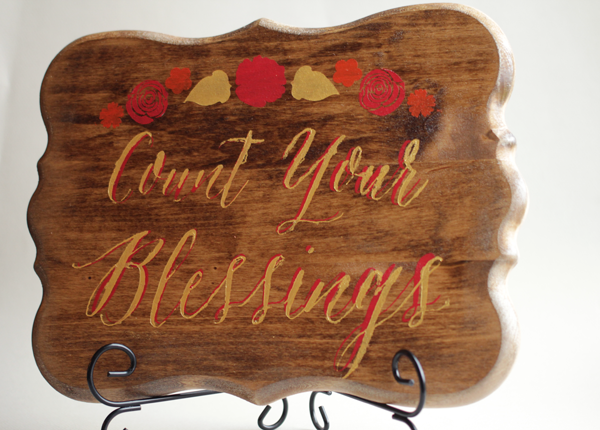 I have so many blessings and yet I fail to recognize them often, maybe this little sign will remind me to stop and count my blessings more often. 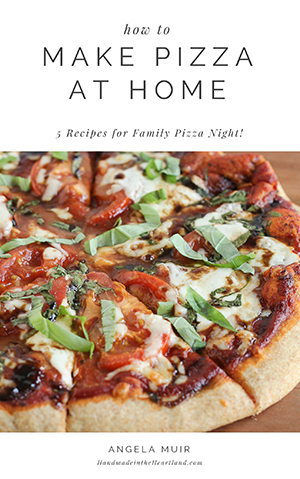 Here’s to getting ready for the rush of holiday season! 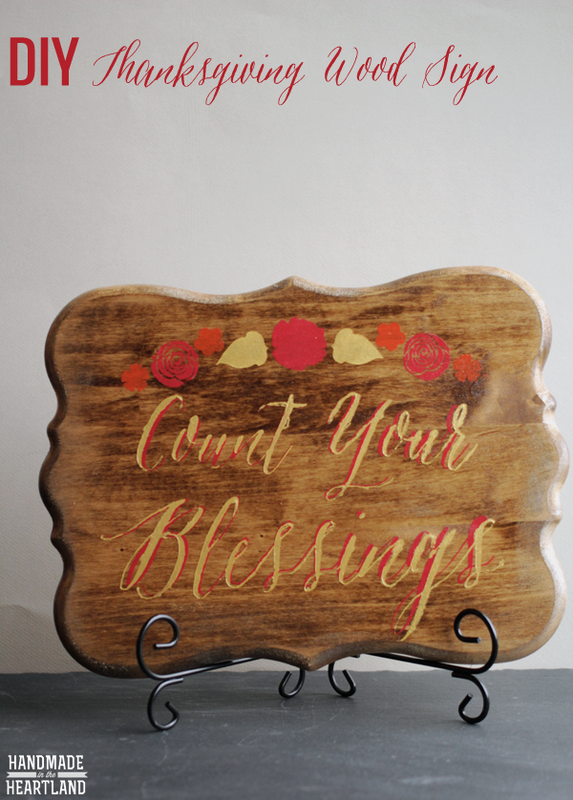 I made this wood sign for the Cricut design space star challenge. 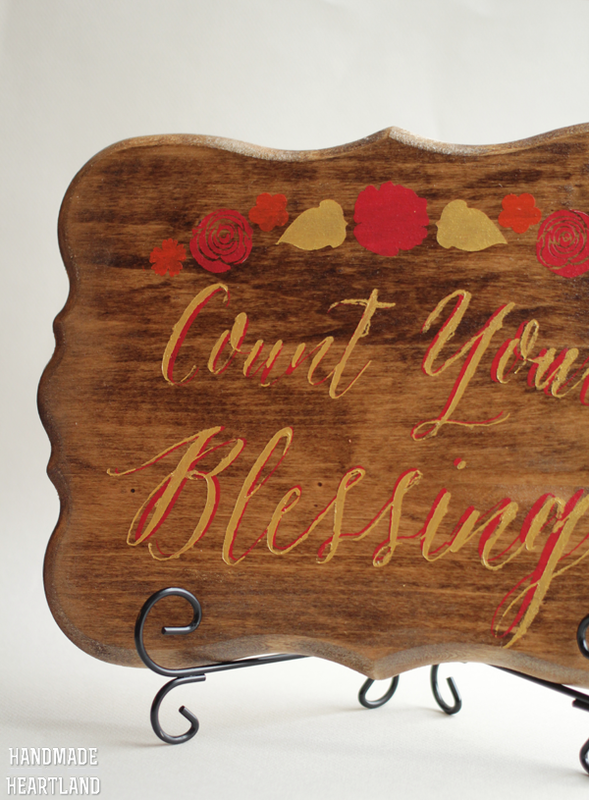 I made it by first staining the wood sign that I found at the craft store with the early american wood stain by minwax. I let that dry outside in the sun for a few hours before doing any painting. While it was drying I designed my image in adobe illustrator and then saved it as a .svg file and uploaded it into the Cricut design space. You can download the .svg file HERE. Next I cut out the file in vinyl, weeded out the lettering and then transferred what looks like a “stencil” to the wood with transfer paper. You can see that whole process in THIS post, its the same process. I used acrylic craft paint and painted inside the vinyl stencil, I did the lettering twice, once in red and then once that dried I did it again, with a second stencil in gold. I put a clear coat on top just to help it shine and last longer. 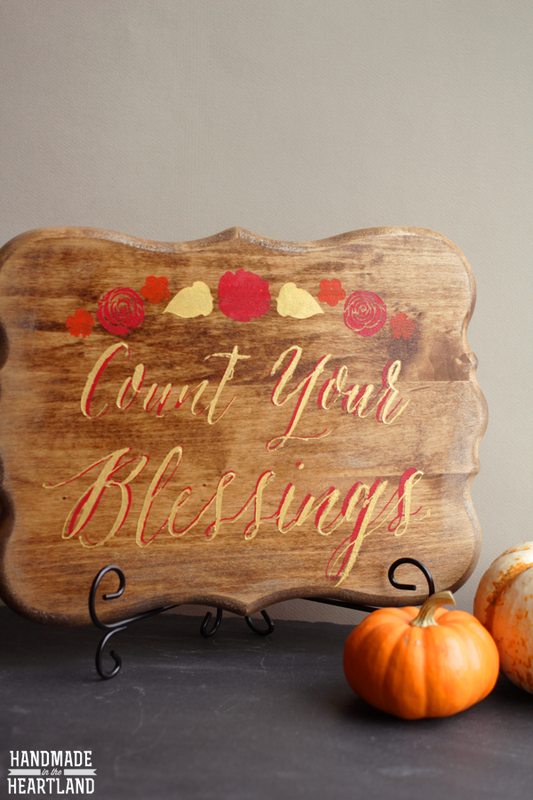 Do you have special decorations for Thanksgiving? Last year I made a fun banner and some cute pillows and as it is with every holiday each year I accumulate a little more. Oh the things I will pull out in 20 years! 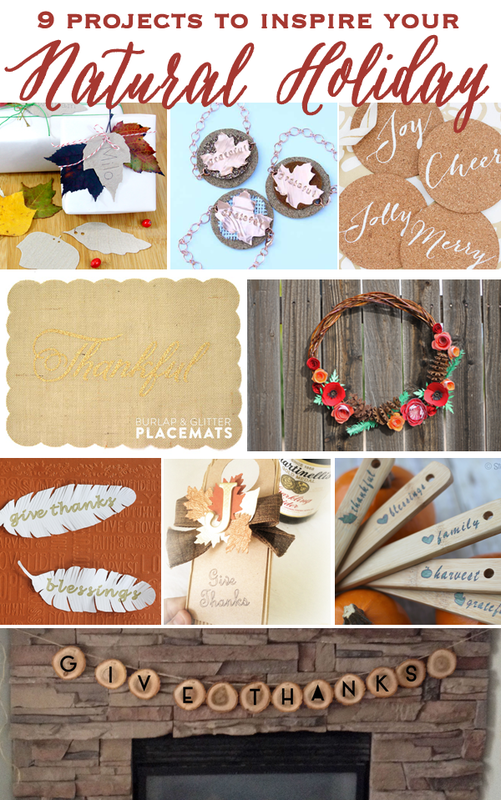 Check out these awesome bloggers that are also in the Cricut Design Space Star Challenge and their beautiful Natural Holiday projects.